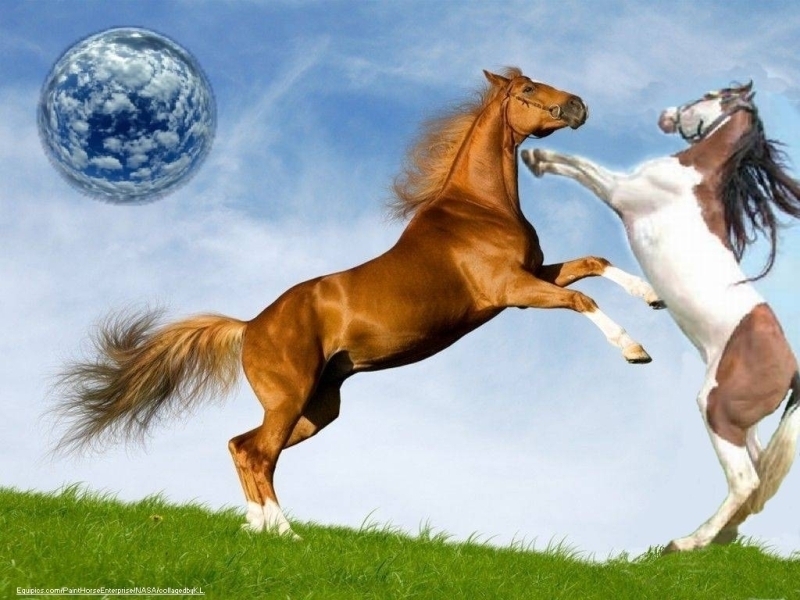 horsefight1. chika, sorrel paint horse fighting. HD Wallpaper and background images in the farasi club tagged: sorrel paint horses rearing fighting.